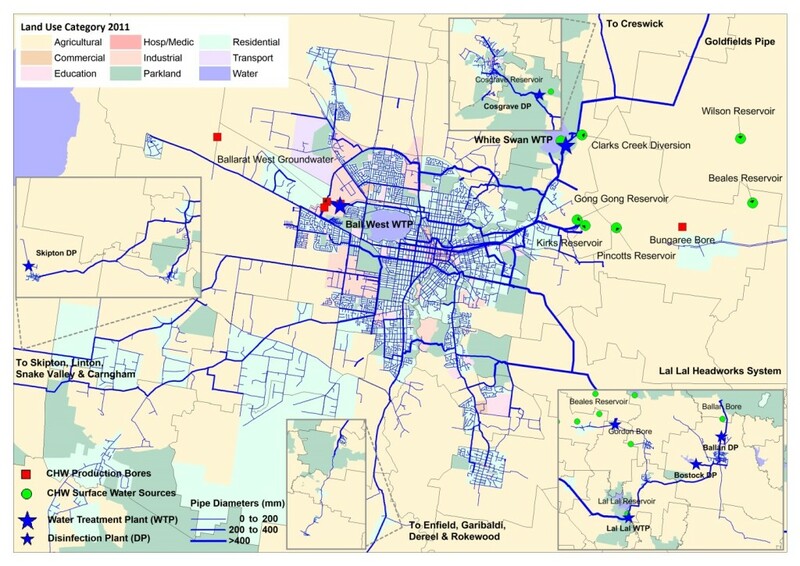 The Systems Framework combines water, wastewater and stormwater networks with waterways and catchments in an integrated network. 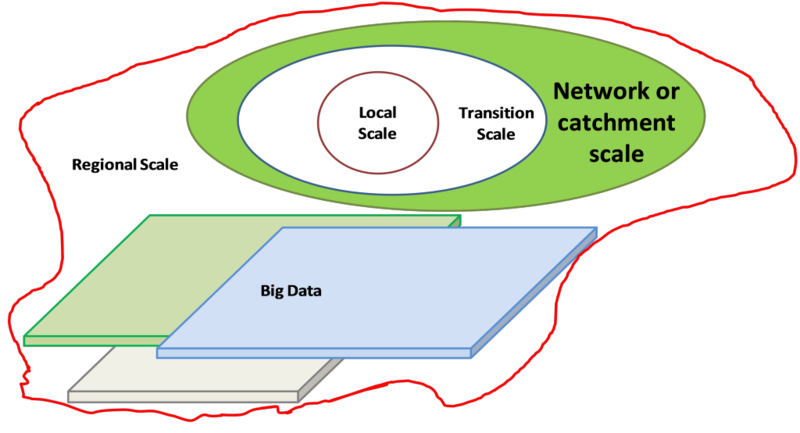 A wide range of spatial and temporal information generated by the lot scale analysis is combined by the transition scale processes as inputs to the network analysis (see Figure 1). The movement of water, sewage, recycled water and stormwater throughout a region is simulated over a chosen planning horizon using multiple replicates of climate sequences that are generated using Monte Carlo processes. This simulation of integrated networks and catchments allows analysis of peak flows in trunk infrastructure, assessment for regional sewage discharges, stormwater runoff, water demands, stream flows, energy use, economics, flooding and pollutant loads. This scale of analysis includes water sources from ground water, surface water sourced from regional river basins, shared surface water with other river basins, wastewater reuse and stormwater harvesting. The analysis utilizes stream flows, reservoir storage volumes, wastewater discharges and information about the operation of water systems as inputs. (see Figure 2 for an example of the combined information at the network of catchment scale).